The most ancient mathematical texts available are from Mesopotamia and Egypt - Plimpton 322 (Babylonian c. 1900 BC), the Rhind Mathematical Papyrus (Egyptian c. 2000–1800 BC) and the Moscow Mathematical Papyrus (Egyptian c. 1890 BC). All of these texts mention the so-called Pythagorean triples and so, by inference, the Pythagorean theorem, seems to be the most ancient and widespread mathematical development after basic arithmetic and geometry. The study of mathematics as a "demonstrative discipline" begins in the 6th century BC with the Pythagoreans, who coined the term "mathematics" from the ancient Greek μάθημα (mathema), meaning "subject of instruction". Greek mathematics greatly refined the methods (especially through the introduction of deductive reasoning and mathematical rigor in proofs) and expanded the subject matter of mathematics. Although they made virtually no contributions to theoretical mathematics, the ancient Romans used applied mathematics in surveying, structural engineering, mechanical engineering, bookkeeping, creation of lunar and solar calendars, and even arts and crafts. Chinese mathematics made early contributions, including a place value system and the first use of negative numbers. The Hindu–Arabic numeral system and the rules for the use of its operations, in use throughout the world today evolved over the course of the first millennium AD in India and were transmitted to the Western world via Islamic mathematics through the work of Muḥammad ibn Mūsā al-Khwārizmī. Islamic mathematics, in turn, developed and expanded the mathematics known to these civilizations. Contemporaneous with but independent of these traditions were the mathematics developed by the Maya civilization of Mexico and Central America, where the concept of zero was given a standard symbol in Maya numerals. Many Greek and Arabic texts on mathematics were translated into Latin from the 12th century onward, leading to further development of mathematics in Medieval Europe. From ancient times through the Middle Ages, periods of mathematical discovery were often followed by centuries of stagnation. Beginning in Renaissance Italy in the 15th century, new mathematical developments, interacting with new scientific discoveries, were made at an increasing pace that continues through the present day. This includes the groundbreaking work of both Isaac Newton and Gottfried Wilhelm Leibniz in the development of infinitesimal calculus during the course of the 17th century. At the end of the 19th century the International Congress of Mathematicians was founded and continues to spearhead advances in the field. Prehistoric artifacts discovered in Africa, dated 20,000 years old or more suggest early attempts to quantify time. [not in citation given] The Ishango bone, found near the headwaters of the Nile river (northeastern Congo), may be more than 20,000 years old and consists of a series of marks carved in three columns running the length of the bone. Common interpretations are that the Ishango bone shows either a tally of the earliest known demonstration of sequences of prime numbers or a six-month lunar calendar. Peter Rudman argues that the development of the concept of prime numbers could only have come about after the concept of division, which he dates to after 10,000 BC, with prime numbers probably not being understood until about 500 BC. He also writes that "no attempt has been made to explain why a tally of something should exhibit multiples of two, prime numbers between 10 and 20, and some numbers that are almost multiples of 10." The Ishango bone, according to scholar Alexander Marshack, may have influenced the later development of mathematics in Egypt as, like some entries on the Ishango bone, Egyptian arithmetic also made use of multiplication by 2; this however, is disputed. Predynastic Egyptians of the 5th millennium BC pictorially represented geometric designs. It has been claimed that megalithic monuments in England and Scotland, dating from the 3rd millennium BC, incorporate geometric ideas such as circles, ellipses, and Pythagorean triples in their design. All of the above are disputed however, and the currently oldest undisputed mathematical documents are from Babylonian and dynastic Egyptian sources. Babylonian mathematics refers to any mathematics of the peoples of Mesopotamia (modern Iraq) from the days of the early Sumerians through the Hellenistic period almost to the dawn of Christianity. The majority of Babylonian mathematical work comes from two widely separated periods: The first few hundred years of the second millennium BC (Old Babylonian period), and the last few centuries of the first millennium BC (Seleucid period). It is named Babylonian mathematics due to the central role of Babylon as a place of study. Later under the Arab Empire, Mesopotamia, especially Baghdad, once again became an important center of study for Islamic mathematics. Babylonian mathematics were written using a sexagesimal (base-60) numeral system. From this derives the modern day usage of 60 seconds in a minute, 60 minutes in an hour, and 360 (60 x 6) degrees in a circle, as well as the use of seconds and minutes of arc to denote fractions of a degree. It is likely the sexagesimal system was chosen because 60 can be evenly divided by 2, 3, 4, 5, 6, 10, 12, 15, 20 and 30. Also, unlike the Egyptians, Greeks, and Romans, the Babylonians had a true place-value system, where digits written in the left column represented larger values, much as in the decimal system. The power of the Babylonian notational system lay in that it could be used to represent fractions as easily as whole numbers; thus multiplying two numbers that contained fractions was no different than multiplying integers, similar to our modern notation. 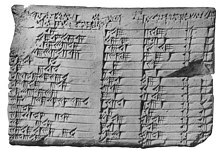 The notational system of the Babylonians was the best of any civilization until the Renaissance, and its power allowed it to achieve remarkable computation accuracy and power; for example, the Babylonian tablet YBC 7289 gives an approximation of √2 accurate to five decimal places. The Babylonians lacked, however, an equivalent of the decimal point, and so the place value of a symbol often had to be inferred from the context. By the Seleucid period, the Babylonians had developed a zero symbol as a placeholder for empty positions; however it was only used for intermediate positions. This zero sign does not appear in terminal positions, thus the Babylonians came close but did not develop a true place value system. Other topics covered by Babylonian mathematics include fractions, algebra, quadratic and cubic equations, and the calculation of regular reciprocal pairs. The tablets also include multiplication tables and methods for solving linear, quadratic equations and cubic equations, a remarkable achievement for the time. Tablets from the Old Babylonian period also contain the earliest known statement of the Pythagorean theorem. However, as with Egyptian mathematics, Babylonian mathematics shows no awareness of the difference between exact and approximate solutions, or the solvability of a problem, and most importantly, no explicit statement of the need for proofs or logical principles. The most extensive Egyptian mathematical text is the Rhind papyrus (sometimes also called the Ahmes Papyrus after its author), dated to c. 1650 BC but likely a copy of an older document from the Middle Kingdom of about 2000–1800 BC. It is an instruction manual for students in arithmetic and geometry. In addition to giving area formulas and methods for multiplication, division and working with unit fractions, it also contains evidence of other mathematical knowledge, including composite and prime numbers; arithmetic, geometric and harmonic means; and simplistic understandings of both the Sieve of Eratosthenes and perfect number theory (namely, that of the number 6). It also shows how to solve first order linear equations as well as arithmetic and geometric series. Another significant Egyptian mathematical text is the Moscow papyrus, also from the Middle Kingdom period, dated to c. 1890 BC. It consists of what are today called word problems or story problems, which were apparently intended as entertainment. One problem is considered to be of particular importance because it gives a method for finding the volume of a frustum (truncated pyramid). Thales used geometry to solve problems such as calculating the height of pyramids and the distance of ships from the shore. He is credited with the first use of deductive reasoning applied to geometry, by deriving four corollaries to Thales' Theorem. As a result, he has been hailed as the first true mathematician and the first known individual to whom a mathematical discovery has been attributed. Pythagoras established the Pythagorean School, whose doctrine it was that mathematics ruled the universe and whose motto was "All is number". It was the Pythagoreans who coined the term "mathematics", and with whom the study of mathematics for its own sake begins. 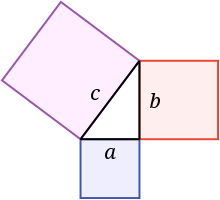 The Pythagoreans are credited with the first proof of the Pythagorean theorem, though the statement of the theorem has a long history, and with the proof of the existence of irrational numbers. Although he was preceded by the Babylonians and the Chinese, the Neopythagorean mathematician Nicomachus (60–120 AD) provided one of the earliest Greco-Roman multiplication tables, whereas the oldest extant Greek multiplication table is found on a wax tablet dated to the 1st century AD (now found in the British Museum). The association of the Neopythagoreans with the Western invention of the multiplication table is evident in its later Medieval name: the mensa Pythagorica. Eudoxus (408–c. 355 BC) developed the method of exhaustion, a precursor of modern integration and a theory of ratios that avoided the problem of incommensurable magnitudes. The former allowed the calculations of areas and volumes of curvilinear figures, while the latter enabled subsequent geometers to make significant advances in geometry. Though he made no specific technical mathematical discoveries, Aristotle (384–c. 322 BC) contributed significantly to the development of mathematics by laying the foundations of logic. In the 3rd century BC, the premier center of mathematical education and research was the Musaeum of Alexandria. It was there that Euclid (c. 300 BC) taught, and wrote the Elements, widely considered the most successful and influential textbook of all time. The Elements introduced mathematical rigor through the axiomatic method and is the earliest example of the format still used in mathematics today, that of definition, axiom, theorem, and proof. Although most of the contents of the Elements were already known, Euclid arranged them into a single, coherent logical framework. The Elements was known to all educated people in the West up through the middle of the 20th century and its contents are still taught in geometry classes today. In addition to the familiar theorems of Euclidean geometry, the Elements was meant as an introductory textbook to all mathematical subjects of the time, such as number theory, algebra and solid geometry, including proofs that the square root of two is irrational and that there are infinitely many prime numbers. Euclid also wrote extensively on other subjects, such as conic sections, optics, spherical geometry, and mechanics, but only half of his writings survive. Archimedes (c. 287–212 BC) of Syracuse, widely considered the greatest mathematician of antiquity, used the method of exhaustion to calculate the area under the arc of a parabola with the summation of an infinite series, in a manner not too dissimilar from modern calculus. He also showed one could use the method of exhaustion to calculate the value of π with as much precision as desired, and obtained the most accurate value of π then known, 310/71 < π < 310/70. He also studied the spiral bearing his name, obtained formulas for the volumes of surfaces of revolution (paraboloid, ellipsoid, hyperboloid), and an ingenious method of exponentiation for expressing very large numbers. While he is also known for his contributions to physics and several advanced mechanical devices, Archimedes himself placed far greater value on the products of his thought and general mathematical principles. He regarded as his greatest achievement his finding of the surface area and volume of a sphere, which he obtained by proving these are 2/3 the surface area and volume of a cylinder circumscribing the sphere. Apollonius of Perga (c. 262–190 BC) made significant advances to the study of conic sections, showing that one can obtain all three varieties of conic section by varying the angle of the plane that cuts a double-napped cone. He also coined the terminology in use today for conic sections, namely parabola ("place beside" or "comparison"), "ellipse" ("deficiency"), and "hyperbola" ("a throw beyond"). 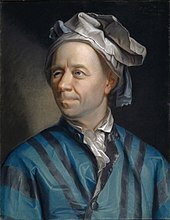 His work Conics is one of the best known and preserved mathematical works from antiquity, and in it he derives many theorems concerning conic sections that would prove invaluable to later mathematicians and astronomers studying planetary motion, such as Isaac Newton. 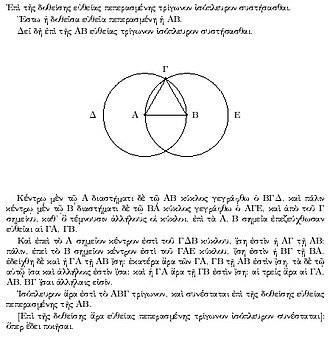 While neither Apollonius nor any other Greek mathematicians made the leap to coordinate geometry, Apollonius' treatment of curves is in some ways similar to the modern treatment, and some of his work seems to anticipate the development of analytical geometry by Descartes some 1800 years later. Around the same time, Eratosthenes of Cyrene (c. 276–194 BC) devised the Sieve of Eratosthenes for finding prime numbers. The 3rd century BC is generally regarded as the "Golden Age" of Greek mathematics, with advances in pure mathematics henceforth in relative decline. Nevertheless, in the centuries that followed significant advances were made in applied mathematics, most notably trigonometry, largely to address the needs of astronomers. Hipparchus of Nicaea (c. 190–120 BC) is considered the founder of trigonometry for compiling the first known trigonometric table, and to him is also due the systematic use of the 360 degree circle. Heron of Alexandria (c. 10–70 AD) is credited with Heron's formula for finding the area of a scalene triangle and with being the first to recognize the possibility of negative numbers possessing square roots. Menelaus of Alexandria (c. 100 AD) pioneered spherical trigonometry through Menelaus' theorem. The most complete and influential trigonometric work of antiquity is the Almagest of Ptolemy (c. AD 90–168), a landmark astronomical treatise whose trigonometric tables would be used by astronomers for the next thousand years. Ptolemy is also credited with Ptolemy's theorem for deriving trigonometric quantities, and the most accurate value of π outside of China until the medieval period, 3.1416. Title page of the 1621 edition of Diophantus' Arithmetica, translated into Latin by Claude Gaspard Bachet de Méziriac. The Hagia Sophia was designed by mathematicians Anthemius of Tralles and Isidore of Miletus. Among the last great Greek mathematicians is Pappus of Alexandria (4th century AD). He is known for his hexagon theorem and centroid theorem, as well as the Pappus configuration and Pappus graph. His Collection is a major source of knowledge on Greek mathematics as most of it has survived. Pappus is considered the last major innovator in Greek mathematics, with subsequent work consisting mostly of commentaries on earlier work. The first woman mathematician recorded by history was Hypatia of Alexandria (AD 350–415). She succeeded her father (Theon of Alexandria) as Librarian at the Great Library and wrote many works on applied mathematics. Because of a political dispute, the Christian community in Alexandria had her stripped publicly and executed. Her death is sometimes taken as the end of the era of the Alexandrian Greek mathematics, although work did continue in Athens for another century with figures such as Proclus, Simplicius and Eutocius. Although Proclus and Simplicius were more philosophers than mathematicians, their commentaries on earlier works are valuable sources on Greek mathematics. The closure of the neo-Platonic Academy of Athens by the emperor Justinian in 529 AD is traditionally held as marking the end of the era of Greek mathematics, although the Greek tradition continued unbroken in the Byzantine empire with mathematicians such as Anthemius of Tralles and Isidore of Miletus, the architects of the Hagia Sophia. Nevertheless, Byzantine mathematics consisted mostly of commentaries, with little in the way of innovation, and the centers of mathematical innovation were to be found elsewhere by this time. Although ethnic Greek mathematicians continued under the rule of the late Roman Republic and subsequent Roman Empire, there were no noteworthy native Latin mathematicians in comparison. Ancient Romans such as Cicero (106–43 BC), an influential Roman statesman who studied mathematics in Greece, believed that Roman surveyors and calculators were far more interested in applied mathematics than the theoretical mathematics and geometry that were prized by the Greeks. It is unclear if the Romans first derived their numerical system directly from the Greek precedent or from Etruscan numerals used by the Etruscan civilization centered in what is now Tuscany, central Italy. Using calculation, Romans were adept at both instigating and detecting financial fraud, as well as managing taxes for the treasury. Siculus Flaccus, one of the Roman gromatici (i.e. land surveyor), wrote the Categories of Fields, which aided Roman surveyors in measuring the surface areas of allotted lands and territories. Aside from managing trade and taxes, the Romans also regularly applied mathematics to solve problems in engineering, including the erection of architecture such as bridges, road-building, and preparation for military campaigns. Arts and crafts such as Roman mosaics, inspired by previous Greek designs, created illusionist geometric patterns and rich, detailed scenes that required precise measurements for each tessera tile, the opus tessellatum pieces on average measuring eight millimeters square and the finer opus vermiculatum pieces having an average surface of four millimeters square. The creation of the Roman calendar also necessitated basic mathematics. The first calendar allegedly dates back to 8th century BC during the Roman Kingdom and included 356 days plus a leap year every other year. In contrast, the lunar calendar of the Republican era contained 355 days, roughly ten-and-one-fourth days shorter than the solar year, a discrepancy that was solved by adding an extra month into the calendar after the 23rd of February. This calendar was supplanted by the Julian calendar, a solar calendar organized by Julius Caesar (100–44 BC) and devised by Sosigenes of Alexandria to include a leap day every four years in a 365-day cycle. This calendar, which contained an error of 11 minutes and 14 seconds, was later corrected by the Gregorian calendar organized by Pope Gregory XIII (r. 1572–1585), virtually the same solar calendar used in modern times as the international standard calendar. At roughly the same time, the Han Chinese and the Romans both invented the wheeled odometer device for measuring distances traveled, the Roman model first described by the Roman civil engineer and architect Vitruvius (c. 80 BC - c. 15 BC). The device was used at least until the reign of emperor Commodus (r. 177 – 192 AD), but its design seems to have been lost until experiments were made during the 15th century in Western Europe. Perhaps relying on similar gear-work and technology found in the Antikythera mechanism, the odometer of Vitruvius featured chariot wheels measuring 4 feet (1.2 m) in diameter turning four-hundred times in one Roman mile (roughly 4590 ft/1400 m). With each revolution, a pin-and-axle device engaged a 400-tooth cogwheel that turned a second gear responsible for dropping pebbles into a box, each pebble representing one mile traversed. An analysis of early Chinese mathematics has demonstrated its unique development compared to other parts of the world, leading scholars to assume an entirely independent development. The oldest extant mathematical text from China is the Zhoubi Suanjing, variously dated to between 1200 BC and 100 BC, though a date of about 300 BC during the Warring States Period appears reasonable. However, the Tsinghua Bamboo Slips, containing the earliest known decimal multiplication table (although ancient Babylonians had ones with a base of 60), is dated around 305 BC and is perhaps the oldest surviving mathematical text of China. The oldest existent work on geometry in China comes from the philosophical Mohist canon c. 330 BC, compiled by the followers of Mozi (470–390 BC). The Mo Jing described various aspects of many fields associated with physical science, and provided a small number of geometrical theorems as well. It also defined the concepts of circumference, diameter, radius, and volume. In 212 BC, the Emperor Qin Shi Huang commanded all books in the Qin Empire other than officially sanctioned ones be burned. This decree was not universally obeyed, but as a consequence of this order little is known about ancient Chinese mathematics before this date. After the book burning of 212 BC, the Han dynasty (202 BC–220 AD) produced works of mathematics which presumably expanded on works that are now lost. The most important of these is The Nine Chapters on the Mathematical Art, the full title of which appeared by AD 179, but existed in part under other titles beforehand. It consists of 246 word problems involving agriculture, business, employment of geometry to figure height spans and dimension ratios for Chinese pagoda towers, engineering, surveying, and includes material on right triangles. It created mathematical proof for the Pythagorean theorem, and a mathematical formula for Gaussian elimination. The treatise also provides values of π, which Chinese mathematicians originally approximated as 3 until Liu Xin (d. 23 AD) provided a figure of 3.1457 and subsequently Zhang Heng (78–139) approximated pi as 3.1724, as well as 3.162 by taking the square root of 10. Liu Hui commented on the Nine Chapters in the 3rd century AD and gave a value of π accurate to 5 decimal places (i.e. 3.14159). Though more of a matter of computational stamina than theoretical insight, in the 5th century AD Zu Chongzhi computed the value of π to seven decimal places (i.e. 3.141592), which remained the most accurate value of π for almost the next 1000 years. He also established a method which would later be called Cavalieri's principle to find the volume of a sphere. The high-water mark of Chinese mathematics occurred in the 13th century during the latter half of the Song dynasty (960–1279), with the development of Chinese algebra. The most important text from that period is the Precious Mirror of the Four Elements by Zhu Shijie (1249–1314), dealing with the solution of simultaneous higher order algebraic equations using a method similar to Horner's method. The Precious Mirror also contains a diagram of Pascal's triangle with coefficients of binomial expansions through the eighth power, though both appear in Chinese works as early as 1100. The Chinese also made use of the complex combinatorial diagram known as the magic square and magic circles, described in ancient times and perfected by Yang Hui (AD 1238–1298). Japanese mathematics, Korean mathematics, and Vietnamese mathematics are traditionally viewed as stemming from Chinese mathematics and belonging to the Confucian-based East Asian cultural sphere. Korean and Japanese mathematics were heavily influenced by the algebraic works produced during China's Song dynasty, whereas Vietnamese mathematics was heavily indebted to popular works of China's Ming dynasty (1368–1644). For instance, although Vietnamese mathematical treatises were written in either Chinese or the native Vietnamese Chữ Nôm script, all of them followed the Chinese format of presenting a collection of problems with algorithms for solving them, followed by numerical answers. Mathematics in Vietnam and Korea were mostly associated with the professional court bureaucracy of mathematicians and astronomers, whereas in Japan it was more prevalent in the realm of private schools. The earliest civilization on the Indian subcontinent is the Indus Valley Civilization (mature phase: 2600 to 1900 BC) that flourished in the Indus river basin. Their cities were laid out with geometric regularity, but no known mathematical documents survive from this civilization. The oldest extant mathematical records from India are the Sulba Sutras (dated variously between the 8th century BC and the 2nd century AD), appendices to religious texts which give simple rules for constructing altars of various shapes, such as squares, rectangles, parallelograms, and others. As with Egypt, the preoccupation with temple functions points to an origin of mathematics in religious ritual. The Sulba Sutras give methods for constructing a circle with approximately the same area as a given square, which imply several different approximations of the value of π. [a] In addition, they compute the square root of 2 to several decimal places, list Pythagorean triples, and give a statement of the Pythagorean theorem. All of these results are present in Babylonian mathematics, indicating Mesopotamian influence. It is not known to what extent the Sulba Sutras influenced later Indian mathematicians. As in China, there is a lack of continuity in Indian mathematics; significant advances are separated by long periods of inactivity. Pāṇini (c. 5th century BC) formulated the rules for Sanskrit grammar. His notation was similar to modern mathematical notation, and used metarules, transformations, and recursion. Pingala (roughly 3rd–1st centuries BC) in his treatise of prosody uses a device corresponding to a binary numeral system. 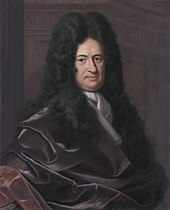 His discussion of the combinatorics of meters corresponds to an elementary version of the binomial theorem. Pingala's work also contains the basic ideas of Fibonacci numbers (called mātrāmeru). Around 500 AD, Aryabhata wrote the Aryabhatiya, a slim volume, written in verse, intended to supplement the rules of calculation used in astronomy and mathematical mensuration, though with no feeling for logic or deductive methodology. Though about half of the entries are wrong, it is in the Aryabhatiya that the decimal place-value system first appears. Several centuries later, the Muslim mathematician Abu Rayhan Biruni described the Aryabhatiya as a "mix of common pebbles and costly crystals". In the 7th century, Brahmagupta identified the Brahmagupta theorem, Brahmagupta's identity and Brahmagupta's formula, and for the first time, in Brahma-sphuta-siddhanta, he lucidly explained the use of zero as both a placeholder and decimal digit, and explained the Hindu–Arabic numeral system. It was from a translation of this Indian text on mathematics (c. 770) that Islamic mathematicians were introduced to this numeral system, which they adapted as Arabic numerals. Islamic scholars carried knowledge of this number system to Europe by the 12th century, and it has now displaced all older number systems throughout the world. Various symbol sets are used to represent numbers in the Hindu–Arabic numeral system, all of which evolved from the Brahmi numerals. Each of the roughly dozen major scripts of India has its own numeral glyphs. In the 10th century, Halayudha's commentary on Pingala's work contains a study of the Fibonacci sequence and Pascal's triangle, and describes the formation of a matrix. In the 9th century, the Persian mathematician Muḥammad ibn Mūsā al-Khwārizmī wrote several important books on the Hindu–Arabic numerals and on methods for solving equations. His book On the Calculation with Hindu Numerals, written about 825, along with the work of Al-Kindi, were instrumental in spreading Indian mathematics and Indian numerals to the West. The word algorithm is derived from the Latinization of his name, Algoritmi, and the word algebra from the title of one of his works, Al-Kitāb al-mukhtaṣar fī hīsāb al-ğabr wa’l-muqābala (The Compendious Book on Calculation by Completion and Balancing). He gave an exhaustive explanation for the algebraic solution of quadratic equations with positive roots, and he was the first to teach algebra in an elementary form and for its own sake. He also discussed the fundamental method of "reduction" and "balancing", referring to the transposition of subtracted terms to the other side of an equation, that is, the cancellation of like terms on opposite sides of the equation. This is the operation which al-Khwārizmī originally described as al-jabr. His algebra was also no longer concerned "with a series of problems to be resolved, but an exposition which starts with primitive terms in which the combinations must give all possible prototypes for equations, which henceforward explicitly constitute the true object of study." He also studied an equation for its own sake and "in a generic manner, insofar as it does not simply emerge in the course of solving a problem, but is specifically called on to define an infinite class of problems." In the Pre-Columbian Americas, the Maya civilization that flourished in Mexico and Central America during the 1st millennium AD developed a unique tradition of mathematics that, due to its geographic isolation, was entirely independent of existing European, Egyptian, and Asian mathematics. Maya numerals utilized a base of 20, the vigesimal system, instead of a base of ten that forms the basis of the decimal system used by most modern cultures. The Mayas used mathematics to create the Maya calendar as well as to predict astronomical phenomena in their native Maya astronomy. While the concept of zero had to be inferred in the mathematics of many contemporary cultures, the Mayas developed a standard symbol for it. 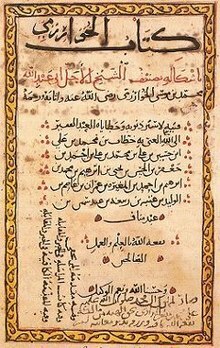 In the 12th century, European scholars traveled to Spain and Sicily seeking scientific Arabic texts, including al-Khwārizmī's The Compendious Book on Calculation by Completion and Balancing, translated into Latin by Robert of Chester, and the complete text of Euclid's Elements, translated in various versions by Adelard of Bath, Herman of Carinthia, and Gerard of Cremona. These and other new sources sparked a renewal of mathematics. Leonardo of Pisa, now known as Fibonacci, serendipitously learned about the Hindu–Arabic numerals on a trip to what is now Béjaïa, Algeria with his merchant father. (Europe was still using Roman numerals.) There, he observed a system of arithmetic (specifically algorism) which due to the positional notation of Hindu–Arabic numerals was much more efficient and greatly facilitated commerce. Leonardo wrote Liber Abaci in 1202 (updated in 1254) introducing the technique to Europe and beginning a long period of popularizing it. The book also brought to Europe what is now known as the Fibonacci sequence (known to Indian mathematicians for hundreds of years before that) which was used as an unremarkable example within the text. 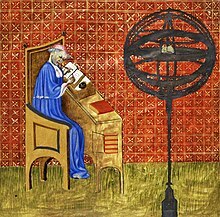 Nicole Oresme (1323–1382), shown in this contemporary illuminated manuscript with an armillary sphere in the foreground, was the first to offer a mathematical proof for the divergence of the harmonic series. Piero della Francesca (c. 1415–1492) wrote books on solid geometry and linear perspective, including De Prospectiva Pingendi (On Perspective for Painting), Trattato d’Abaco (Abacus Treatise), and De corporibus regularibus (Regular Solids). 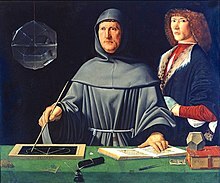 Luca Pacioli's Summa de Arithmetica, Geometria, Proportioni et Proportionalità (Italian: "Review of Arithmetic, Geometry, Ratio and Proportion") was first printed and published in Venice in 1494. It included a 27-page treatise on bookkeeping, "Particularis de Computis et Scripturis" (Italian: "Details of Calculation and Recording"). 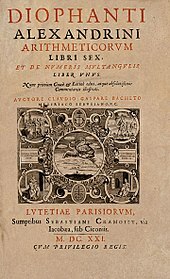 It was written primarily for, and sold mainly to, merchants who used the book as a reference text, as a source of pleasure from the mathematical puzzles it contained, and to aid the education of their sons. In Summa Arithmetica, Pacioli introduced symbols for plus and minus for the first time in a printed book, symbols that became standard notation in Italian Renaissance mathematics. Summa Arithmetica was also the first known book printed in Italy to contain algebra. Pacioli obtained many of his ideas from Piero Della Francesca whom he plagiarized. The 17th century saw an unprecedented increase of mathematical and scientific ideas across Europe. Galileo observed the moons of Jupiter in orbit about that planet, using a telescope based on a toy imported from Holland. Tycho Brahe had gathered an enormous quantity of mathematical data describing the positions of the planets in the sky. By his position as Brahe's assistant, Johannes Kepler was first exposed to and seriously interacted with the topic of planetary motion. Kepler's calculations were made simpler by the contemporaneous invention of logarithms by John Napier and Jost Bürgi. Kepler succeeded in formulating mathematical laws of planetary motion. The analytic geometry developed by René Descartes (1596–1650) allowed those orbits to be plotted on a graph, in Cartesian coordinates. to stand for the ratio of a circle's circumference to its diameter. He made numerous contributions to the study of topology, graph theory, calculus, combinatorics, and complex analysis, as evidenced by the multitude of theorems and notations named for him. Throughout the 19th century mathematics became increasingly abstract. 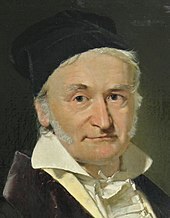 Carl Friedrich Gauss (1777–1855) epitomizes this trend. He did revolutionary work on functions of complex variables, in geometry, and on the convergence of series, leaving aside his many contributions to science. He also gave the first satisfactory proofs of the fundamental theorem of algebra and of the quadratic reciprocity law. In the later 19th century, Georg Cantor established the first foundations of set theory, which enabled the rigorous treatment of the notion of infinity and has become the common language of nearly all mathematics. Cantor's set theory, and the rise of mathematical logic in the hands of Peano, L.E.J. Brouwer, David Hilbert, Bertrand Russell, and A.N. Whitehead, initiated a long running debate on the foundations of mathematics. Notable historical conjectures were finally proven. In 1976, Wolfgang Haken and Kenneth Appel proved the four color theorem, controversial at the time for the use of a computer to do so. Andrew Wiles, building on the work of others, proved Fermat's Last Theorem in 1995. Paul Cohen and Kurt Gödel proved that the continuum hypothesis is independent of (could neither be proved nor disproved from) the standard axioms of set theory. In 1998 Thomas Callister Hales proved the Kepler conjecture. Differential geometry came into its own when Einstein used it in general relativity. Entirely new areas of mathematics such as mathematical logic, topology, and John von Neumann's game theory changed the kinds of questions that could be answered by mathematical methods. All kinds of structures were abstracted using axioms and given names like metric spaces, topological spaces etc. As mathematicians do, the concept of an abstract structure was itself abstracted and led to category theory. Grothendieck and Serre recast algebraic geometry using sheaf theory. Large advances were made in the qualitative study of dynamical systems that Poincaré had begun in the 1890s. Measure theory was developed in the late 19th and early 20th centuries. Applications of measures include the Lebesgue integral, Kolmogorov's axiomatisation of probability theory, and ergodic theory. Knot theory greatly expanded. Quantum mechanics led to the development of functional analysis. Other new areas include Laurent Schwartz's distribution theory, fixed point theory, singularity theory and René Thom's catastrophe theory, model theory, and Mandelbrot's fractals. Lie theory with its Lie groups and Lie algebras became one of the major areas of study. Non-standard analysis, introduced by Abraham Robinson, rehabilitated the infinitesimal approach to calculus, which had fallen into disrepute in favour of the theory of limits, by extending the field of real numbers to the Hyperreal numbers which include infinitesimal and infinite quantities. An even larger number system, the surreal numbers were discovered by John Horton Conway in connection with combinatorial games. The development and continual improvement of computers, at first mechanical analog machines and then digital electronic machines, allowed industry to deal with larger and larger amounts of data to facilitate mass production and distribution and communication, and new areas of mathematics were developed to deal with this: Alan Turing's computability theory; complexity theory; Derrick Henry Lehmer's use of ENIAC to further number theory and the Lucas-Lehmer test; Rózsa Péter's recursive function theory; Claude Shannon's information theory; signal processing; data analysis; optimization and other areas of operations research. In the preceding centuries much mathematical focus was on calculus and continuous functions, but the rise of computing and communication networks led to an increasing importance of discrete concepts and the expansion of combinatorics including graph theory. The speed and data processing abilities of computers also enabled the handling of mathematical problems that were too time-consuming to deal with by pencil and paper calculations, leading to areas such as numerical analysis and symbolic computation. Some of the most important methods and algorithms of the 20th century are: the simplex algorithm, the Fast Fourier Transform, error-correcting codes, the Kalman filter from control theory and the RSA algorithm of public-key cryptography. Emmy Noether has been described by many as the most important woman in the history of mathematics. She studied the theories of rings, fields, and algebras. There are many observable trends in mathematics, the most notable being that the subject is growing ever larger, computers are ever more important and powerful, the application of mathematics to bioinformatics is rapidly expanding, and the volume of data being produced by science and industry, facilitated by computers, is explosively expanding. ^ J. Friberg, "Methods and traditions of Babylonian mathematics. Plimpton 322, Pythagorean triples, and the Babylonian triangle parameter equations", Historia Mathematica, 8, 1981, pp. 277–318. ^ Williams, Scott W. (2005). "The Oldest Mathematical Object is in Swaziland". Mathematicians of the African Diaspora. SUNY Buffalo mathematics department. Retrieved 2006-05-06. ^ Rudman, Peter Strom (2007). How Mathematics Happened: The First 50,000 Years. Prometheus Books. p. 64. ISBN 978-1-59102-477-4. ^ Thom, Alexander, and Archie Thom, 1988, "The metrology and geometry of Megalithic Man", pp. 132–51 in C.L.N. Ruggles, ed., Records in Stone: Papers in memory of Alexander Thom. Cambridge University Press. ISBN 0-521-33381-4. ^ Aaboe, Asger (1998). Episodes from the Early History of Mathematics. New York: Random House. pp. 30–31. ^ a b Jane Qiu (7 January 2014). "Ancient times table hidden in Chinese bamboo strips". Nature. doi:10.1038/nature.2014.14482. Retrieved 15 September 2014. ^ David E. Smith (1958), History of Mathematics, Volume I: General Survey of the History of Elementary Mathematics, New York: Dover Publications (a reprint of the 1951 publication), ISBN 0-486-20429-4, pp. 58, 129. ^ David E. Smith (1958), History of Mathematics, Volume I: General Survey of the History of Elementary Mathematics, New York: Dover Publications (a reprint of the 1951 publication), ISBN 0-486-20429-4, p. 129. ^ Calian, George F. (2014). "One, Two, Three… A Discussion on the Generation of Numbers" (PDF). New Europe College. Archived from the original (PDF) on 2015-10-15. ^ Development Of Modern Numerals And Numeral Systems: The Hindu-Arabic system, Encyclopaedia Britannica, Quote: "The 1, 4, and 6 are found in the Ashoka inscriptions (3rd century bce); the 2, 4, 6, 7, and 9 appear in the Nana Ghat inscriptions about a century later; and the 2, 3, 4, 5, 6, 7, and 9 in the Nasik caves of the 1st or 2nd century CE – all in forms that have considerable resemblance to today’s, 2 and 3 being well-recognized cursive derivations from the ancient = and ≡." ^ Puttaswamy, T.K. (2000). "The Accomplishments of Ancient Indian Mathematicians". In Selin, Helaine; D'Ambrosio, Ubiratan (eds.). Mathematics Across Cultures: The History of Non-western Mathematics. Springer. pp. 411–12. ISBN 978-1-4020-0260-1. ^ Kulkarni, R.P. (1978). "The Value of π known to Śulbasūtras" (PDF). Indian Journal of History of Science. 13 (1): 32–41. Archived from the original (PDF) on 2012-02-06. ^ a b Connor, J.J.; Robertson, E.F. "The Indian Sulbasutras". Univ. of St. Andrew, Scotland. ^ Bronkhorst, Johannes (2001). "Panini and Euclid: Reflections on Indian Geometry". Journal of Indian Philosophy. 29 (1–2): 43–80. doi:10.1023/A:1017506118885. ^ Kadvany, John (2008-02-08). "Positional Value and Linguistic Recursion". Journal of Indian Philosophy. 35 (5–6): 487–520. CiteSeerX 10.1.1.565.2083. doi:10.1007/s10781-007-9025-5. ISSN 0022-1791. ^ Sanchez, Julio; Canton, Maria P. (2007). Microcontroller programming : the microchip PIC. Boca Raton, Florida: CRC Press. p. 37. ISBN 978-0-8493-7189-9. ^ Hall, Rachel W. (2008). "Math for poets and drummers" (PDF). Math Horizons. 15 (3): 10–11. doi:10.1080/10724117.2008.11974752. ^ Boyer (1991). "The Arabic Hegemony". History of Mathematics. p. 226. By 766 we learn that an astronomical-mathematical work, known to the Arabs as the Sindhind, was brought to Baghdad from India. It is generally thought that this was the Brahmasphuta Siddhanta, although it may have been the Surya Siddhanata. A few years later, perhaps about 775, this Siddhanata was translated into Arabic, and it was not long afterwards (ca. 780) that Ptolemy's astrological Tetrabiblos was translated into Arabic from the Greek. ^ P.P. Divakaran, The first textbook of calculus: Yukti-bhāṣā, Journal of Indian Philosophy 35, 2007, pp. 417–33. ^ Pingree, David (December 1992). "Hellenophilia versus the History of Science". Isis. 83 (4): 554–563. Bibcode:1992Isis...83..554P. doi:10.1086/356288. JSTOR 234257. One example I can give you relates to the Indian Mādhava's demonstration, in about 1400 A.D., of the infinite power series of trigonometrical functions using geometrical and algebraic arguments. When this was first described in English by Charles Whish, in the 1830s, it was heralded as the Indians' discovery of the calculus. This claim and Mādhava's achievements were ignored by Western historians, presumably at first because they could not admit that an Indian discovered the calculus, but later because no one read anymore the Transactions of the Royal Asiatic Society, in which Whish's article was published. The matter resurfaced in the 1950s, and now we have the Sanskrit texts properly edited, and we understand the clever way that Mādhava derived the series without the calculus; but many historians still find it impossible to conceive of the problem and its solution in terms of anything other than the calculus and proclaim that the calculus is what Mādhava found. In this case the elegance and brilliance of Mādhava's mathematics are being distorted as they are buried under the current mathematical solution to a problem to which he discovered an alternate and powerful solution. ^ Bressoud, David (2002). "Was Calculus Invented in India?". College Mathematics Journal. 33 (1): 2–13. doi:10.2307/1558972. JSTOR 1558972. ^ Katz, Victor J. (June 1995). "Ideas of Calculus in Islam and India" (PDF). Mathematics Magazine. 68 (3): 163–74. Bibcode:1975MathM..48...12G. doi:10.2307/2691411. JSTOR 2691411. ^ (Boyer 1991, "The Arabic Hegemony" p. 230) "The six cases of equations given above exhaust all possibilities for linear and quadratic equations having positive root. So systematic and exhaustive was al-Khwārizmī's exposition that his readers must have had little difficulty in mastering the solutions." ^ (Boyer 1991, "The Arabic Hegemony" p. 229) "It is not certain just what the terms al-jabr and muqabalah mean, but the usual interpretation is similar to that implied in the translation above. The word al-jabr presumably meant something like "restoration" or "completion" and seems to refer to the transposition of subtracted terms to the other side of an equation; the word muqabalah is said to refer to "reduction" or "balancing" – that is, the cancellation of like terms on opposite sides of the equation." ^ Rashed, R.; Armstrong, Angela (1994). The Development of Arabic Mathematics. Springer. pp. 11–12. ISBN 978-0-7923-2565-9. OCLC 29181926. ^ Sesiano, Jacques (1997). "Abū Kāmil". Encyclopaedia of the history of science, technology, and medicine in non-western cultures. Springer. pp. 4–5. ^ Katz, Victor J. (1995). "Ideas of Calculus in Islam and India". Mathematics Magazine. 68 (3): 163–74. doi:10.2307/2691411. JSTOR 2691411. ^ Alam, S (2015). "Mathematics for All and Forever" (PDF). Indian Institute of Social Reform & Research International Journal of Research. ^ O'Connor, John J.; Robertson, Edmund F., "Abu'l Hasan ibn Ali al Qalasadi", MacTutor History of Mathematics archive, University of St Andrews . ^ Pickover, Clifford A. (2009), The Math Book: From Pythagoras to the 57th Dimension, 250 Milestones in the History of Mathematics, Sterling Publishing Company, Inc., p. 104, ISBN 978-1-4027-5796-9, Nicole Oresme ... was the first to prove the divergence of the harmonic series (c. 1350). His results were lost for several centuries, and the result was proved again by Italian mathematician Pietro Mengoli in 1647 and by Swiss mathematician Johann Bernoulli in 1687. ^ Clagett, Marshall (1961) The Science of Mechanics in the Middle Ages, (Madison: University of Wisconsin Press), p. 284. ^ Clagett, Marshall (1961) The Science of Mechanics in the Middle Ages, (Madison: University of Wisconsin Press), pp. 332–45, 382–91. ^ Kline, Morris (1953). Mathematics in Western Culture. Great Britain: Pelican. pp. 150–51. ^ Struik, Dirk (1987). A Concise History of Mathematics (3rd. ed.). Courier Dover Publications. p. 89. ISBN 978-0-486-60255-4. ^ Maurice Mashaal, 2006. Bourbaki: A Secret Society of Mathematicians. American Mathematical Society. ISBN 0-8218-3967-5, 978-0-8218-3967-6. ^ Alexandrov, Pavel S. (1981), "In Memory of Emmy Noether", in Brewer, James W; Smith, Martha K (eds. ), Emmy Noether: A Tribute to Her Life and Work, New York: Marcel Dekker, pp. 99–111, ISBN 978-0-8247-1550-2 . Joyce, Hetty (July 1979), "Form, Function and Technique in the Pavements of Delos and Pompeii", American Journal of Archaeology, 83 (3): 253–63, doi:10.2307/505056, JSTOR 505056. Sleeswyk, Andre (October 1981), "Vitruvius' odometer", Scientific American, 252 (4): 188–200. Tang, Birgit (2005), Delos, Carthage, Ampurias: the Housing of Three Mediterranean Trading Centres, Rome: L'Erma di Bretschneider (Accademia di Danimarca), ISBN 978-88-8265-305-7. Bell, E.T. (1937). Men of Mathematics. Simon and Schuster. Grattan-Guinness, Ivor (2003). Companion Encyclopedia of the History and Philosophy of the Mathematical Sciences. The Johns Hopkins University Press. ISBN 978-0-8018-7397-3. Struik, D.J. (1987). A Concise History of Mathematics, fourth revised edition. Dover Publications, New York. Heath, Sir Thomas (1981). A History of Greek Mathematics. Dover. ISBN 978-0-486-24073-2.
van der Waerden, B.L., Geometry and Algebra in Ancient Civilizations, Springer, 1983, ISBN 0-387-12159-5. Menninger, Karl W. (1969). Number Words and Number Symbols: A Cultural History of Numbers. MIT Press. ISBN 978-0-262-13040-0. Stigler, Stephen M. (1990). The History of Statistics: The Measurement of Uncertainty before 1900. Belknap Press. ISBN 978-0-674-40341-3. Notes for MAA minicourse: teaching a course in the history of mathematics. (2009) (V. Frederick Rickey & Victor J. Katz). History of Mathematics (Courtright Memorial Library).